I was getting all geared up to make some rockets with my little boy. I collected a bunch of great goodies all ready but my little man just wanted to build paper planes. The two older boys next door to us are out in their garden most afternoons flying their paper planes and they very kindly made some for my little man and soon the boys created a game flying the planes over the garden wall into each others garden. 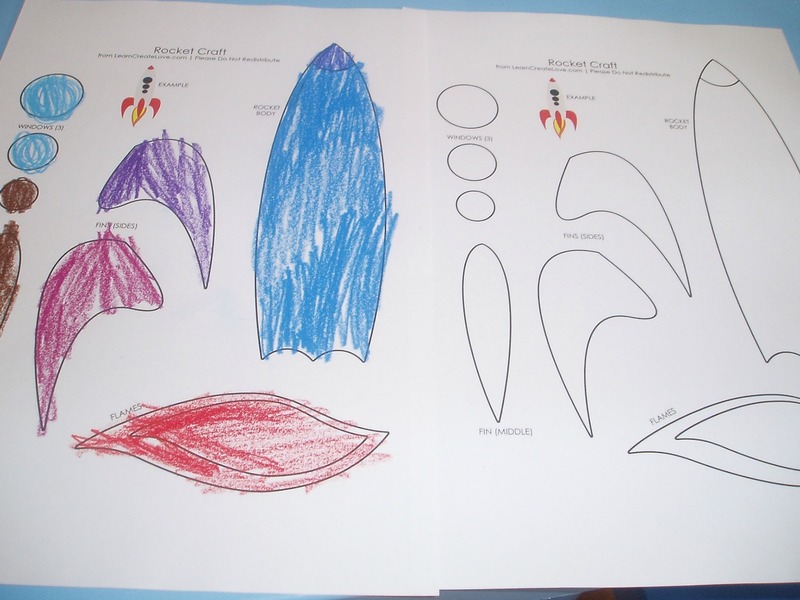 My little man desperately wanted a paper rocket but on a quick search of the internet I could not find a paper plane rocket template. 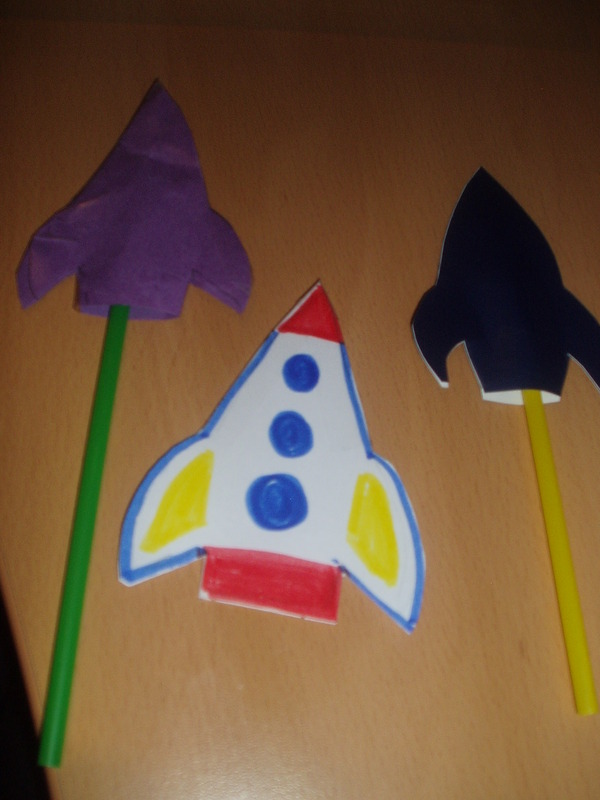 The first interesting rocket I did find was by LearnLove Create – rocket craft. This was great at distracting Blue during one of our Maths lessons he coloured it in and after I helped with some of the cutting he stuck it all nicely down. They also have a great looking Astronaut which we have printed. However Blue really wanted a rocket like the paper planes, thank goodness for Mr Maker (CBeebies program we love) who came to the rescue. He had a great idea where he made a paper rocket with paper and glue. 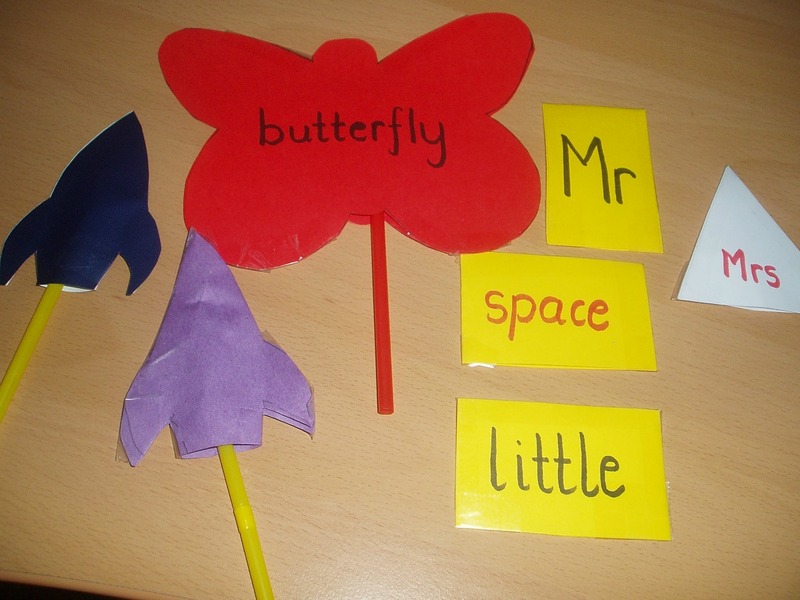 It is very simple and after I made a template for them – Pink took over tracing, cutting and sticking rockets. You need to trace the identical shape onto two pieces of paper (or just fold your paper) and cut and stick the sides together. You can use paper and glue for this but I must admit I found that they worked better if we used some scotch tape around the edges (you need to make sure that the edges are properly sealed). Leave a gap at the bottom of the rocket for the straw to fit in and you are all set. 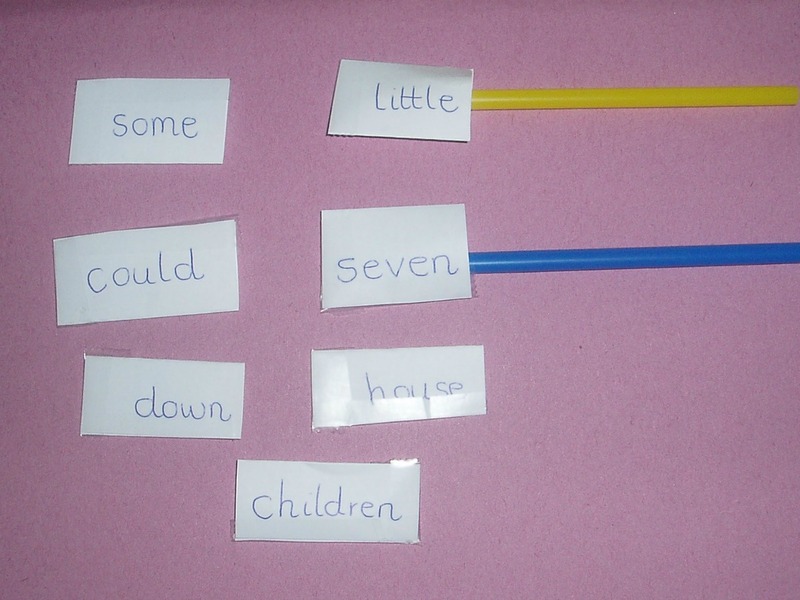 After making a bunch of these in different shapes Pink learnt that the bigger ones do not work as nicely and the gap for the straw must not be too big either. Pink even tried to make a butterfly but she made it a bit big and it did not fly as nicely. And yes the homeschooling mom in me did suggest we make some words as well. And it actually turned into a fun word game. And all the goodies that I thought we could use to build our rocket – they are sitting on a corner of our kichen table waiting. 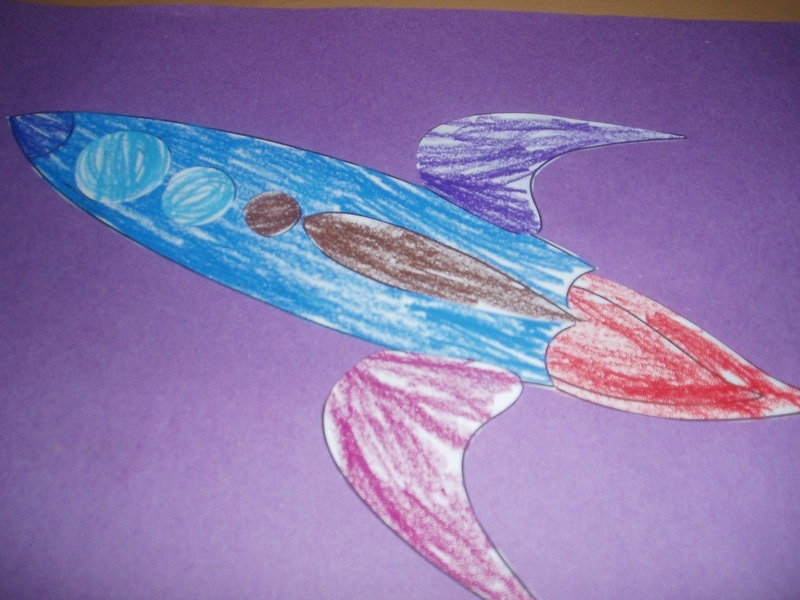 This entry was posted in Art and Craft Ideas, Homeschooling and tagged children's craft, home ed, homeschooling, rocket with straw, sight words, space rocket. Bookmark the permalink.